The opening concert in an historic series of six concerts to be given by the Chilingirian Quartet, commemorates the 70th anniversary of Bartók’s death by reconstructing the first complete cycle of Bartók quartets in the UK – given in the 1949/50 season by the London Chamber Music Society’s precursor organisation, the South Place Sunday Concerts. The concerts (originally performed by the Hurwitz, Aeolian, Blech, Amadeus and Martin quartets), coupled one of Bartók’s six quartets with a quartet from another groundbreaking series, Beethoven’s six quartets of the Op. 18 set. Each programme also featured one of Mozart’s mature quartets, to complement the energy and tautness of Bartók and Beethoven’s musical style. The Hurwitz Quartet originally gave this concert in October 1949. 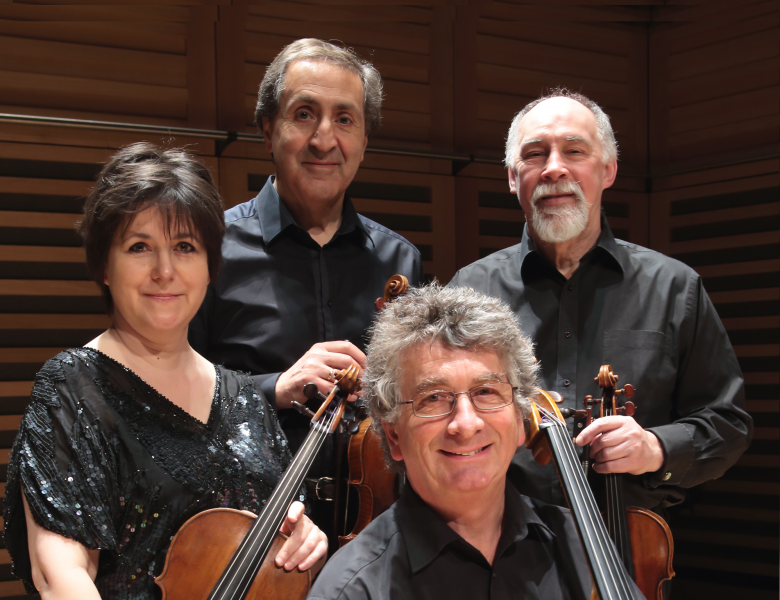 Professor Amanda Bayley, distinguished Bartók scholar and author of the Cambridge Companion to Bartók discusses his first string quartet. Kamila was born In Poland, where began the violin at the age of seven. She received her Master of Music from Łódź Music Academy. From 2007 to 2011 she studied on a full scholarship at Indiana University Jacobs School of Music in the USA, working with Mauricio Fuks and Kevork Mardirossian. Currently recently finished an Artist Diploma programme at the Royal College of Music with Ani Schnarch, supported by a Jacqueline Ward Award. 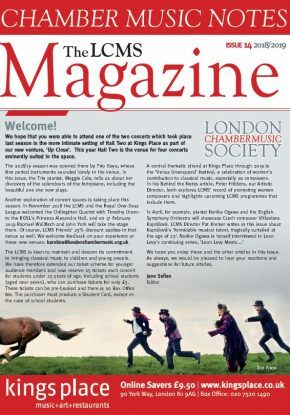 Kamila was the winner of the Ealing Festival Concerto Award (2013) and other recent competition successes include second prizes in the National Society of Arts and Letters Competition in Bloomington and the Matinee Musicale Competition in Indianapolis (USA), fourth prize in the Citta di Padova competition in Padua (Italy), and first prizes in international chamber music competitions in Slovenia and Croatia. A prize-winner at the North London Festival of Music, Australian violist Lisa Bucknell has performed around the United Kingdom with Southbank Sinfonia, the BBC Concert Orchestra, and Birmingham Royal Ballet. She also performed in the new Alan Bennett play Untold Stories at the National Theatre and the West End, and toured with the Scottish Ensemble in the summer of 2014 as part of the Scottish Ensemble Commonwealth Strings Program. 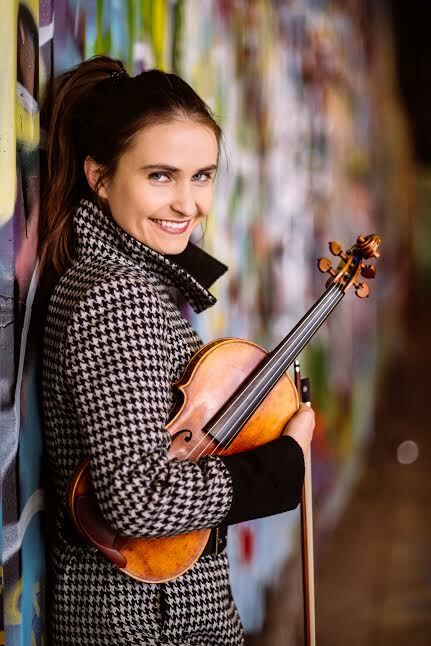 Lisa began her studies on viola after winning a scholarship at the Sydney Conservatorium Open Academy, and is currently studying for a Master of Performance at the Royal College of Music under the tutelege of Simon Rowland-Jones. She has studied with Vicci Wardman, Roger Benedict, Annette Isserlis, and Caroline Henbest, and has had masterclasses with Maxim Rysanov, Nobuko Imai, and Jean-Éric Soucy. Alisa received her early musical training at the Belarus State Music College in Minsk. She started playing the cello at the age of seven and began giving public performances soon thereafter. Among her early successes are prizes at the Heran, Beethoven and Chandos International Competitions as well as a solo concerto performance with the Belarus State Chamber Orchestra and a place in the City of Birmingham Symphony Orchestral Scheme.